Governor Ahmed flags-off KWAYEP, as youths are charged on self-reliance – Royal Times of Nigeria. As Youths in Nigeria today joined their counterpart across the world to celebrate International Youth Day, the Kwara state governor, Alhaji Abdulfatal Ahmed has officially flagged off Kwara Youth Empowerment Programme, KWAYEP with the aim of curbing unemployment. He noted that two thousand youths across the State have so far been engaged under the program. In his address delivered at the 2018 Kwara youth reinvention summit at the banquet hall in Ilorin where thousands of youths were present, the Governor Ahmed said his government is focusing on providing a Structured Social Safety Net for young people. 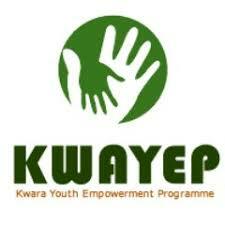 According to him, under the KWAYEP program, youths are deployed to various Ministries, Departments and Agencies and private agencies related to their academic background and given hands-on training over a specified period of time with the aim of providing youths with skills to ensure they are able to compete. 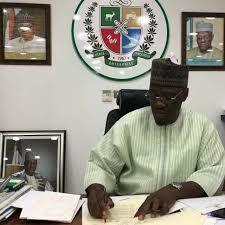 While noting that youths make up about seventy per cent the country’s total population, Governor Ahmed who noted that such population can be the tools for social and economic transformation with the right investment assured Kwarans that the state government will continue to provide an enabling environment for our youths to contribute to the socio-economic development of state. Speaking at the event, at the Senior Special Assistant to the Governor on Youth Empowerment Alhaji Saka Babatunde advised youths to look beyond engaging in solely public services, but to be creative and be self reliance. He commended the Governor Abdulfatah Ahmed for taking youth development as priority.